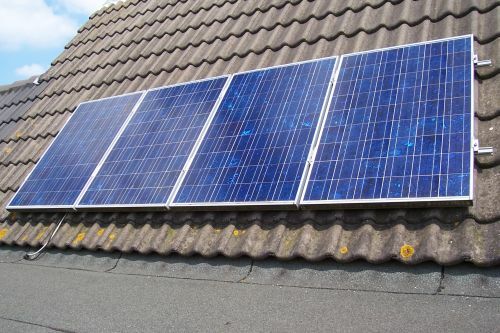 A couple of years ago, the Dutch government had a very good subsidy regulation for privet persons to buy a set of Solar Panels for less than € 400,-. I bought a set of 4 panels, 125 Watt each, including the control unit to convert the DC current from the panels to 230 Volt AC. Mounting the panels on the roof of my home was very easy because the set was over complete with all kinds of mounting brackets, stainless steel bolts and nuts and also a clear description how to mount the panels on a slanting or flat roof. The PSM 125 Solar Panel. On the picture below you see the Solar panels mounted on my roof, but… you also see on that picture that some cables coming down below the most left panel! When I saw that, I realized that from the beginning, one panel was not connected. So I was missing about 125 Watt all the time the panels were operative. I screwed up my courage and I climbed on the roof to connect the panel in the string of the other 3 panels. And indeed, the open voltage of the four panels was increased to more than 100 Volt. Technical specifications of the Philips PSM 125 Solar Panel. Here you can see how I installed the Philips PSI-500 Inverter and also the modified Conrad ‘Energy Check’ meter. 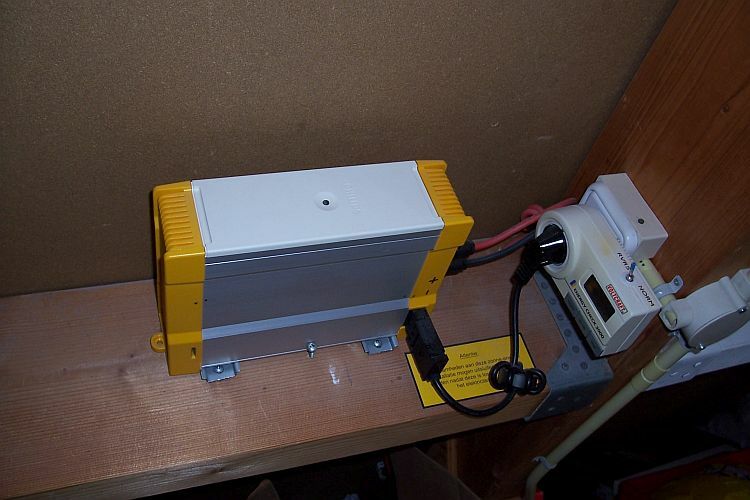 I modified the energy meter with a switch in a way that I can measure the solar panels delivered power as well. Technical specifications of the Philips PSI-500 Inverter. The most disadvantage of solar panels, especially for hams, is the noise the invertors are producing. When the sun is shining, you can hear on the 80 meter band a lot of pulsing noise. I started experiments to put the DC and AC cables through toroids (FT140-77). The best results are achieved by winding the two DC cables through one FT140-77 in opposite direction. See picture below. 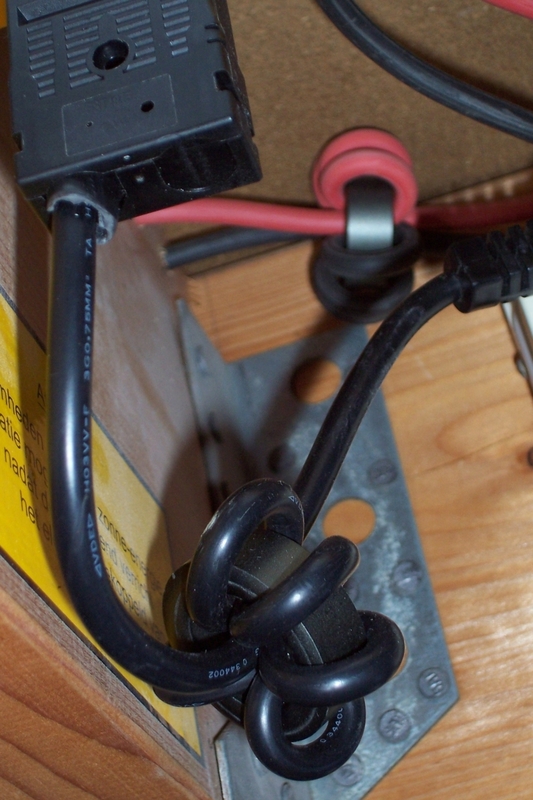 In front the AC cable (also wind trough a toroid) and in the back (a bit out of focus…) the DC cables. After these modifications the invertor noise on 80 meters was reduced by about 3 S-points (18 dBm)! From the time the panels are operative, I noted the annual supplied power in a spreadsheet, which I put into a graphic.